Who Will Be The Bill James of Election Administration? Today marks the release of Moneyball, a new movie starring Brad Pitt and based on the brilliant book of the same name by Michael Lewis. Both the book and the movie follow Billy Beane, general manager of the Oakland A’s, who commits to building his team’s roster by using data to augment (and occasionally overrule) the recommendations of traditional scouts. Moneyball is a terrific story that uses baseball to explore the competition between businesses with different resources (i.e. “big” vs. “small” market teams) as well as the struggles any new idea must undergo to gain acceptance and overcome the weight of tradition. But the real star of the story is someone who barely gets any play in the movie: Bill James. Take one question in particular: Do great and exciting pitchers like Nolan Ryan draw more fans than others? Why that question? Who really cares? But I think that question was a particular breakthrough for Bill James because it seemed so obvious (OF COURSE Nolan Ryan outdrew other pitchers) and it was relatively easy to answer. All he had to do was look up the attendance when Ryan pitched and when others on the Astros pitched. This wasn’t exactly EASY in 1977 — it was long before personal computers and Retrosheet.org, so he had to go through the box scores he had clipped out of The Sporting News — but it was relatively easy. And what he found was: No. Nolan Ryan absolutely did not draw more than other pitchers. He didn’t draw more than his Angels teammates like Don Kirkwood in 1976. And in the Astrodome in Houston, he was outdrawn by Vern Ruhle and Joe Niekro in 1980. Well, if people could get something that simple wrong, they could get just about anything wrong. It wasn’t in Bill’s nature to trust conventional wisdom anyway, but the more he looked at the box scores — the more he hours he spent with the evidence — the more he came to believe that so much of what people said automatically about baseball was silly, misleading, incomplete. Over time, Bill James literally changed the game. A whole generation of new GMs have built their teams in part on the strength of sabermetric analysis and seen their teams’ fortunes improve as a result. And while the battle between statistics and scouting continues, every day the two worlds come closer together as people realize “the way we’ve always done it” and “the new way to do it” aren’t as incompatible as they thought. 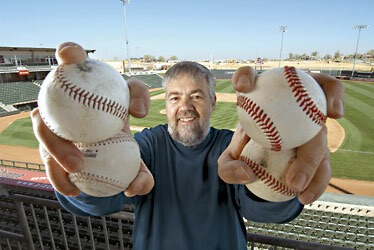 The world of elections needs someone like Bill James. On this blog, we have already discussed in great (excruciating?) detail the growing availability of data to evaluate election administration. We have seen how our traditional ways of looking at elections (i.e., turnout, partisanship) are problematic in a world where accuracy, security and cost-effectiveness are increasingly important. What the field needs is someone who will wade into the rising tide of evidence (and collect their own if necessary), identify the misconceptions and show us all the path to a newer, better way. I get flak occasionally for using the term “election geek” to describe people who immerse themselves in the minutiae of election administration – but somewhere out there, I hope, are one or more “election geeks” whose passion for the field, mixed with skepticism for the inertia of tradition, will change election administration the same way Bill James transformed baseball. If it’s you, reader, all I ask is that you invite me to your movie premiere. 2 Comments on "Who Will Be The Bill James of Election Administration?" “I knew who Bill James was long before Moneyball and used my own sabermetric formulations like those in his Baseball Prospectus to dominate fantasy baseball leagues for years before other baseball geeks turned that information into a profession. In fact, I remember when I was about 8 years old, I had a thought… There are a lot of great baseball players out there, but not all of them were great when they were rookies. I took all of my baseball cards for the then-stars of the game: Mike Schmidt, Darryl Strawberry, Don Mattingly, Wade Boggs, etc. and filled 4-sheets in my school notebook with their statistical lines from their first 2 seasons in the league. I added all of the various categories using long-hand math to devise a series of averages and looked at my baseball cards for young guys with comparable stat lines. I went on to corner the market on Chili Davis rookie cards from my classmates- he never turned into the superstar I projected him to be, but he had a long and prosperous 18-year career including 3 all-star selections and 3 world series rings. Not bad for an 8 year old! My fear though, is that much like the Moneyball analogy, there is a requisite platform for new thought. In Billy Beane’s case, being appointed the General Manager of one of the lowest-budget franchises in Major League Baseball is the equivalent of me being Appointed Secretary of State in Arkansas. He was actually a former high-round draft pick himself who washed as a player long before the ownership of the Oakland A’s hired him as a GM almost as an afterthought. If he had gone to work in the front office of the New York Yankees and spent his time trying to convince ownership to sign Scott Hatteberg, Nick Swisher and Chad Bradford, he’d have been out of baseball by the time Oakland needed a new GM. Were it not for his being in the right place at the right time and being given a platform, I might still be dominating fantasy league with statistics like BABiP or OPS. A few things to remember about James. First, it wasn’t just that he reanalyzed old data, but stimulated new data collection efforts. A (sad?) legion of acolytes began to collect information on fielding and location of hits that allowed some of the new metrics to be developed. The lesson here is that old measures can be mined for new information, but keep attentive to new ways to analyze performance. The second thing is that James did not just create new ways of doing thing, but he also helped to expose the roots of old traditions. The best example of this is James’s analysis of the Hall of Fame. While James opposed the “lowest common denominator” rationale for entry into the Hall, the rest of his article simply pointed out what patterns of performance *have* historically been used to justify entry, for instance, World Series appearances, appearance in the MVP ballot, etc. The lesson for an administrator is that metrics and measurement can be a shield as well as a sword, providing you empirical support for your current practices. A lot of empirical research reinforces our intuitions, and there’s nothing wrong with that.